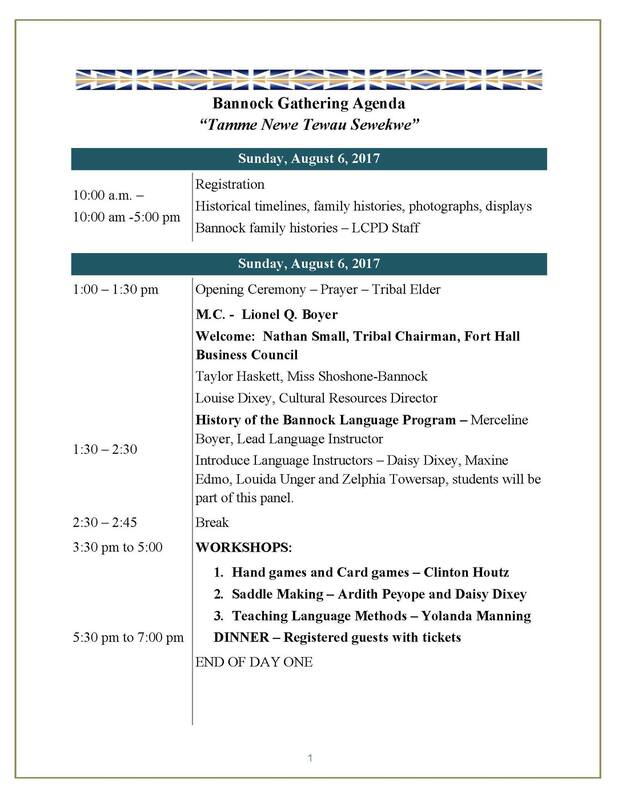 The Annual Bannock Gathering has been scheduled for August 8th-10th, 2017. 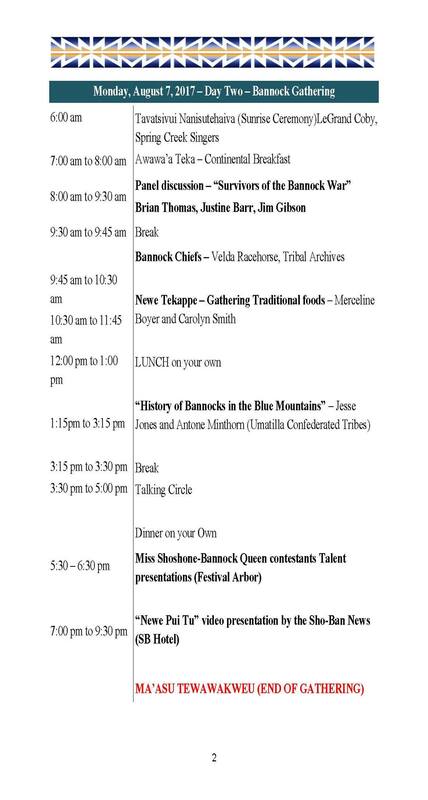 It will be hosted by the Shoshone-Bannock Tribe in Fort Hall, Idaho. 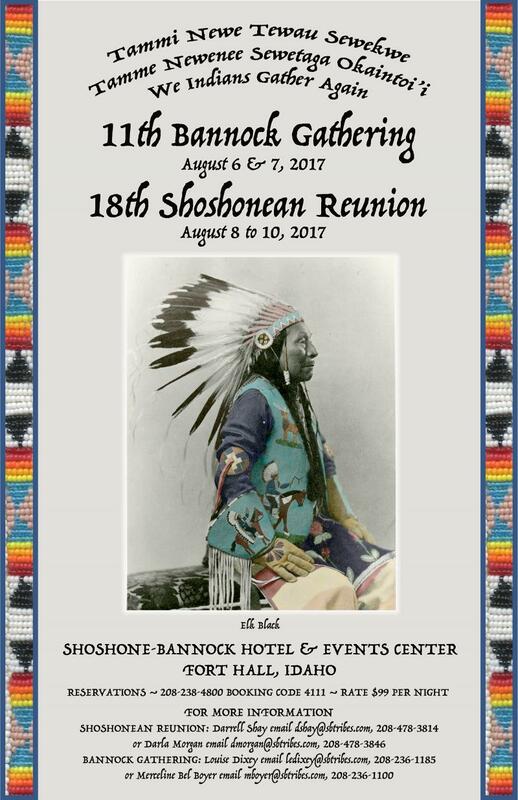 For more information contact Loise Dixey at ledixey@sbtribes.com or (208)236-1185.